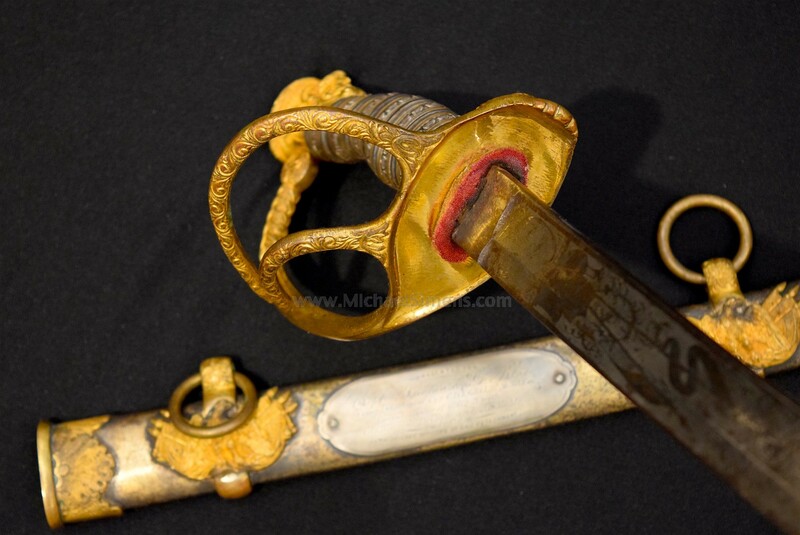 This is a beautiful and massive Model 1840 pattern Presentation Grade Cavalry Officers Saber presented to Captain Thomas G. Black, eventually the commander of the 3rd Missouri Cavalry. 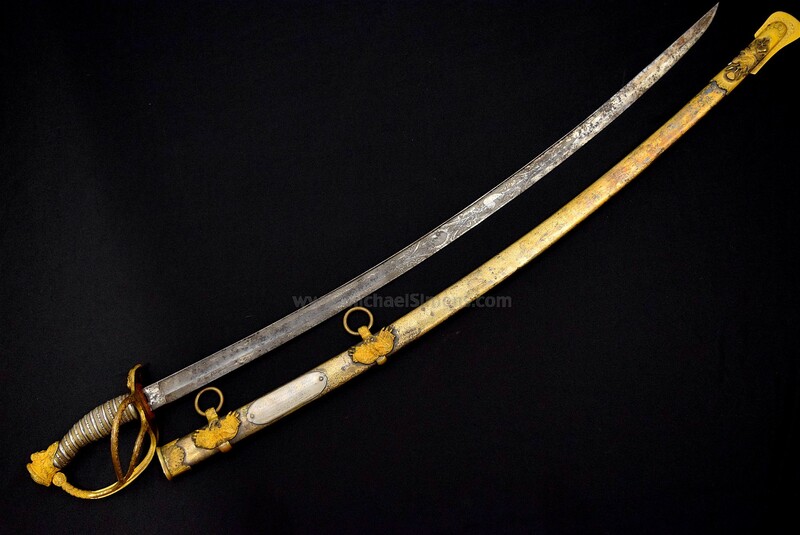 This sword, accompanied with our next lot, " 3rd Missouri Cavalry Company Regimental Flag", came to us directly from Blacks descendants, having never been offered for sale to the public until now. 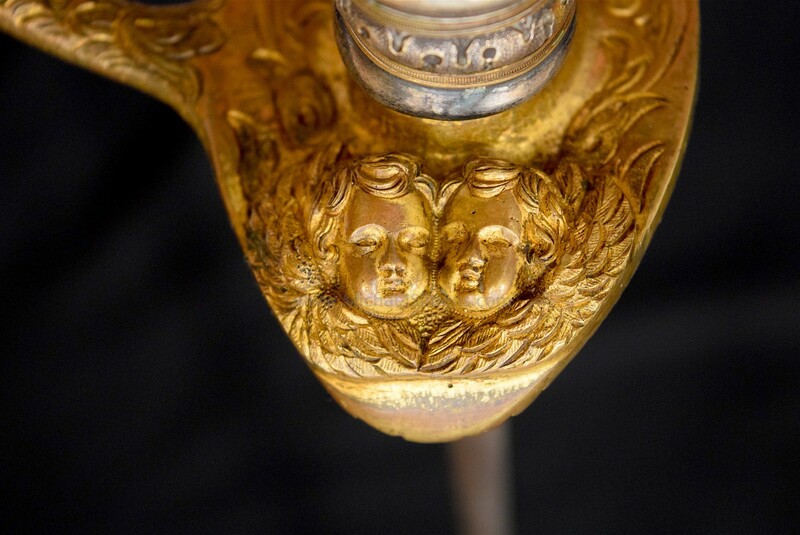 In beautiful, untouched condition, this sword retains approx. 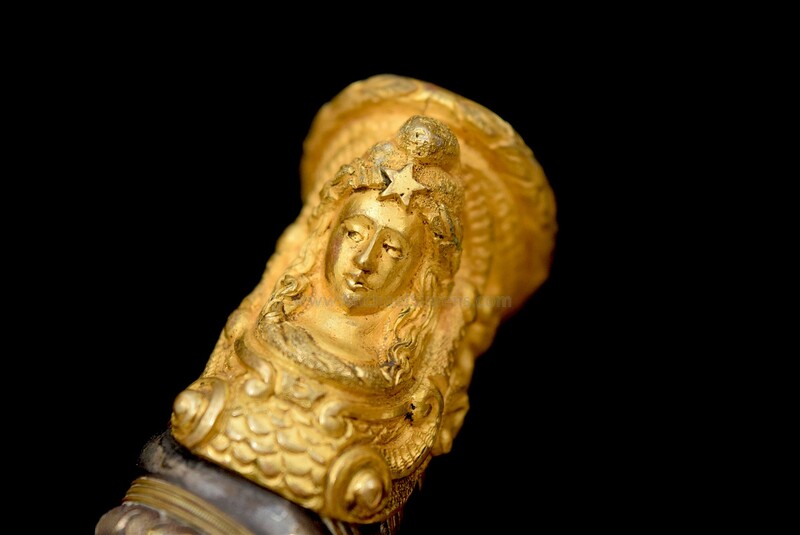 90% of its original, bright gold gilt on all of its brass mounts which are laid over a silver (again, 90%+) plated scabbard with a thinning gold wash. 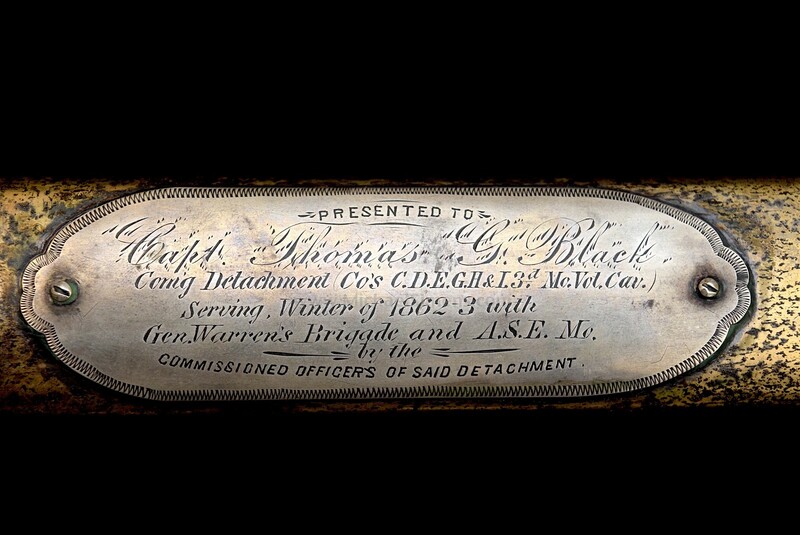 The presentation reads, "Presented to, Capt, Thomas G. Black, Com'g Detachment Co's C,D,E,G,H, & I, 3d Mo. Vol. Cav. Serving Winter of 1862-3 with Gen. Warren's brigade and A.S.E. Mo. by the Commission Officers of said Detachment". The blade shows deep etching that is sharp & clear with scattered staining and a few small areas of corrosion that could easily be cleaned. 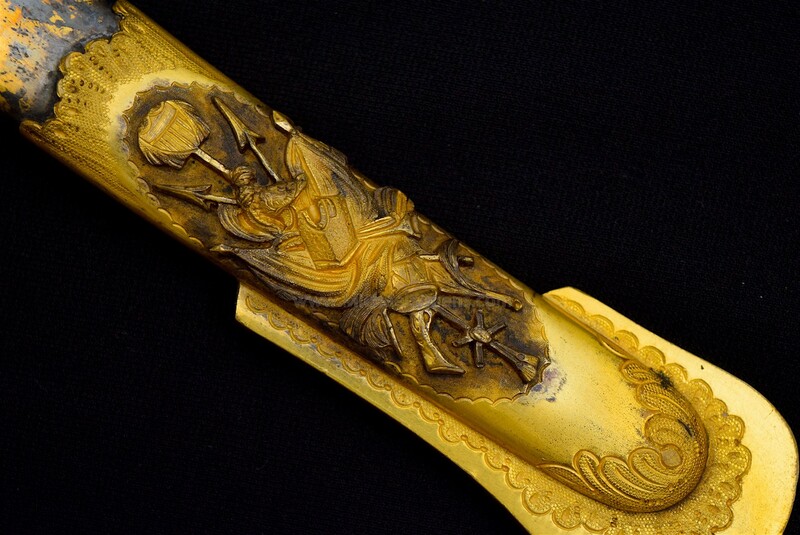 It is highlighted by a large "U. S. CAVALRY" motif. 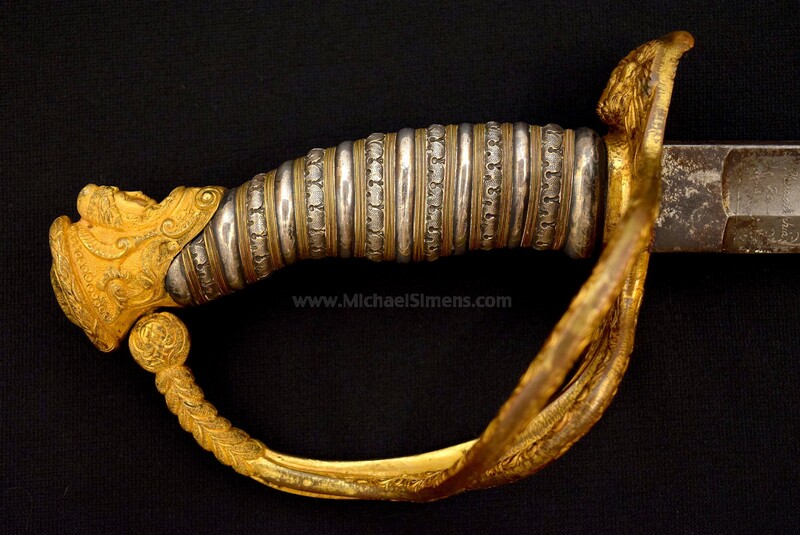 The grip is also impressive, showing most of its silver-plated finish accentuated with brass wire and gold-gilted hilt. 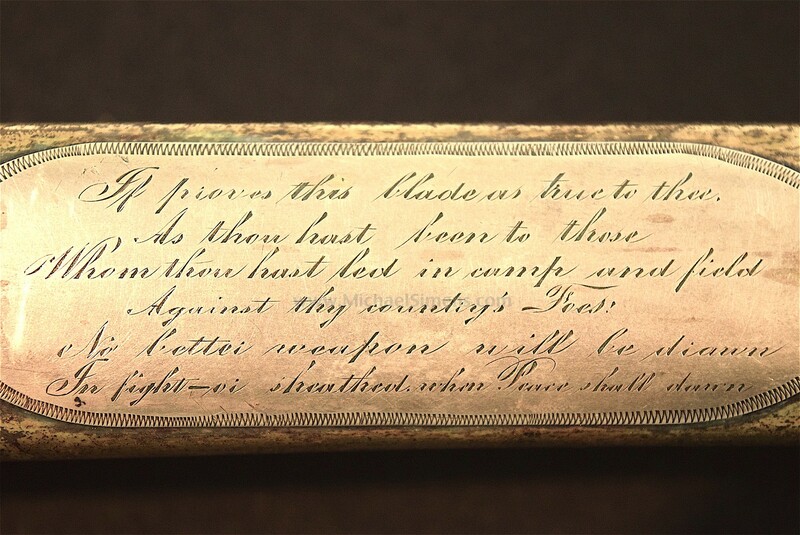 The presentation is on a coin-silver plaque and an additional plaque is on the reverse that states in poetic terms, "If proves this blade as true to thee, as thou hast been to those whom thou hast led in camp and field against thy country's foes, no better weapon will be drawn in fight - or sheathed when Peace shall dawn".